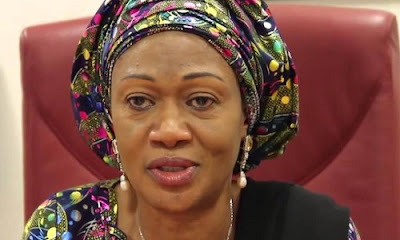 The lawmaker representing Lagos Central Senatorial District in the National Assembly, Oluremi Tinubu, has said that hate speech and quit notices will only hurt the nation. The senator spoke at a town hall meeting with her constituents on Friday at Arcade Hall, Eko Club, Surulere, Lagos. She described Nigeria as a complex country, but noted that her greatness lies in the diversity of the different groups that make up the country. A coalition of northern groups, popularly called Arewa Youths, had earlier issued an ultimatum to Igbo in the North to leave the North by October 1, 2017, but following widespread condemnation, the group later rescinded the quit notice. Tinubu commended the Arewa Youth Consultative Forum, one of the member groups that formed the coalition, for prevailing on the youth to withdraw their call. “I also appeal to others to follow suit and take back any statements capable of leading to hostilities and apprehension,” she said. The town hall meeting, with the theme, “Embracing our Complexity and Diversity,” is the 23rd of its kind. She called on Nigerians to re-evaluate themselves and those around them to adequately benefit from the diversity of ideas and experiences. According to her, other states have a lot to learn from Lagos State.